The Natural Health Perspective claims that good health starts in the kitchen, rather than at the food market. Now, a recent groundbreaking health research study has reported similar findings. "It has become clear that cooking is a healthy behavior." We are NOT talking about heating up processed food in microwave ovens, or heating TV dinners in a toaster oven. Cooking means knowing how to turn fresh produce into appetizing meals. 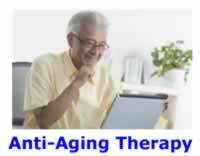 This Taiwanese research study involved 1,888 test subjects 65 years of age and older which were followed for 10 years. It is the first health study to report that those who home cooked their own meals the most are more likely to live longer. Shockingly nearly half of this elderly population in Taiwan, China never cooked any of their meals. Thus, learning how to cook is a skill worth acquiring that will improve your longevity. This study found that the more affluent and the more educated you are the less likely you are to cook your own meals, which is a major health mistake. Cooking is a complex task that requires the active use of your brain on many different levels. First, you have to be mobile in order to cook your own food, even if you are in a wheel chair. Next, it often requires independent living. Cooking is a physical activity, which gives cooks something to do, as well as another reason for living. Those who cook have control over many things in their life from food selection, dietary diversity, to the use of herbs and spices, and choice of different cooking methods. As a form of control, it promotes happiness and less depression. Often overlooked is the fact that cooking requires shopping for food. One way or the other for the elderly, shopping is a challenge that takes a lot of work, skills, and planning. While cooks may not always do the shopping themselves, they at least have to be able to get somebody else to shop for them. People who cook are usually going to be eating what they cook. Depressed people often skip eating at mealtime. Thus, the more that you cook the less likely you are to become depressed in the future. The more home cook meals anyone makes, the more meals they will be eating, and thus the more nutrients that they will obtain from their healthy whole food diet. Cooking frequency may enhance survival in Taiwanese elderly.